What's the deal with Dolch Words? It's all about learning to read. Reading is possibly the most fundamental skill that children need to develop in order to be successful in school and life. Every subject a child masters is based, at least in part, on a child's ability to read and understand what they are reading. Yet, more and more children have difficulty mastering basic reading skills. Many people think the problem lies not with the newer generation of children, but with the newer teaching methods that have been instilled to teach reading in the last couple of generations. 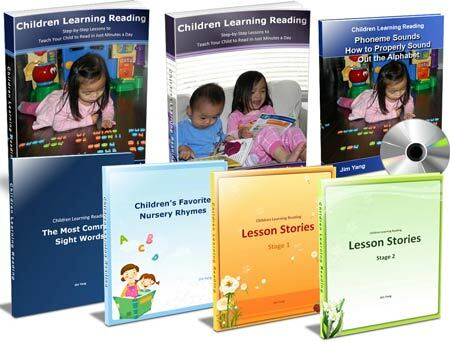 Most reading programs are based almost entirely on learning to read by phonetics. While children learn to read certain words based on their sound, they struggle with words that are either difficult or impossible to sound out. Unfortunately, many of these words, known as Dolch or Sight Words, are the words that form the backbone of the English language and need to be mastered in order for children to learn to read well. What Are Dolch Words And Where Did They Come From? In 1936 the educator Edward William Dolch designed two lists of common words that children needed to be able to instantly recognize in order to master basic reading skills. The first list consisted of 220 words, including adverbs, adjectives and verbs. The second list was a list of 95 common nouns. While a few of these words can be mastered using phonetics, most cannot — children need to recognize them on sight (hence the phrase 'sight words'). A couple of generations ago these words were taught in school in a variety of ways. Words lists consisting of these words were posted predominantly in classrooms. Flash cards were used for reading, spelling lists were comprised of these words, and beginner reading primers were designed around these words. Many believe that a return to this system will improve the reading abilities of American school children. 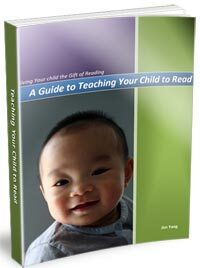 The Pre-primer list contains words that should be learned and recognized on sight before a child formally begins reading instruction. Learning this list of words will improve a child's initial experience at reading, and it is believed that this success will then fuel a child's interest in reading as they will struggle less in the early stages. The Primer list contains those words that children should master in Kindergarten, while they are beginning their first reading lessons. Primer words should be learned and then mixed with the pre-primer words the child already has already mastered. Each level of Dolch words should then be learned in small groups and added to the words children already know, until they have mastered all the words in both lists. The tools that are most useful for teaching Dolch words are basic and inexpensive. They include a large list of words that are posted in the classroom where children will see them every day, flash cards for teaching the children word recognition, and word games which involve using sight words in a fun way. If you are parent or a teacher and want to help your child improve their reading skills significantly then there are a number of websites you can visit that will give you all kinds of ideas on activities you can use to help children learn the entire Dolch word list. One site that offers a lot of suggestions for parents or teachers is Dolchword.net, which offers the list of Dolch words to be copied off and cut out to make flash cards for you to use to help the children learn the words. These flashcards are designed to be printed in both large and small versions. The large version is great to use for group activities and the small list is ideal for use in game play and for single student work. The site also has a variety of games that children can play that will help them easily recognize these words. Another site called Netover.com allows children to click on the sight words and hear how they are pronounced as well as giving them a number of games and puzzles that will help them become used to finding, recognizing and spelling these words. A quick Web search will return several other sites offering a series of word games and work sheets for students to use. One easy to make activity that helps children recognize and use Dolch words is a word search (or word find) puzzle. All you need to do is create a word search puzzle using about 8 or 10 of the Dolch words that kids are currently learning. At first you can list the words they need to find on the side of the puzzle. At the end of the lesson, when they should be able to recognize the words, you can simply read them out and allow them to find them. Another good game is called I Have That Word! Pass out one flash card to each student, and then write a sentence on the board. Start with the first word and allow the student who has that word to announce that they have that word and bring it up and place it on the board, telling the rest of the class or the group what the word is. Continue until all the words in the sentence are used, and then have the class read the entire sentence. Repeat with new sentences until every student has used their flash card. This is a great way not only for the child to show that they have learned the word, but see how these words can be used to make up sentences. Children have great imaginations. Given the chance, they can use that imagination to write their own stories using the sight reading words. Younger children's stories may only be a sentence or two, and you may even have to write the story down for them, but the older they get the more their stories will take off. Children really enjoy reading a book they wrote themselves. If you start teaching your child or student these Dolch words early, and use plenty of repetition, you should find that they have greater success with more advanced reading tasks. A few of the nouns on the Dolch list should be included in each level there is no set order in which they need to be introduced, but, the children should be able to recognize all or most of the words on the noun list by second grade.